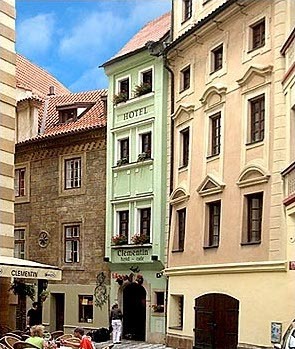 Situated in the centre of the beautiful Old Town Quarter, at the crossroads of ancient and modern Prague, the Hotel Clementin is an ideal starting point for discovering and enjoying the city. 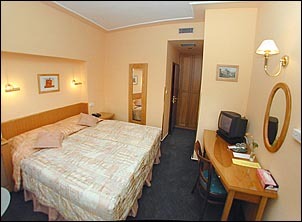 It is located at the Royal Route, just 200 metres from both the Charles Bridge and the Old Town Square. 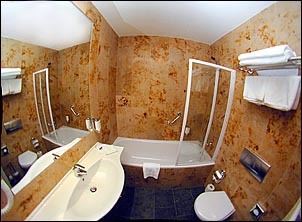 Recently converted to a hotel, the building has been thoroughly modernised to the highest standard. 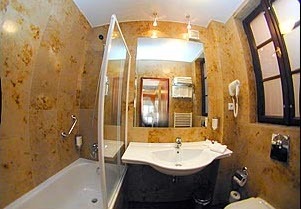 All nine rooms (total capacity 20 beds) are air - conditioned, equipped with a marble bathroom, WC, telephone, TV with satellite reception, radio, minibar and safe. All the hotel is covered by Wi-Fi Internet connection. 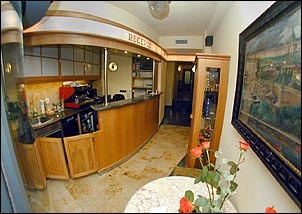 Reception, with its non stop service and friendly and helpful staff, is located on the ground floor. 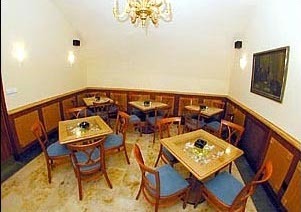 Breakfast is served daily in the café-breakfast room from 8 to 10a.m. The hotel is equipped with an elevator. 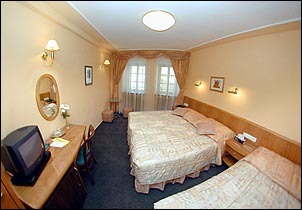 Parking is available in nearby underground garages on the square of J.Palacha.